Halloween 2016 has seen some pretty great costumes. From the various homages to Solange to your favorite artists letting loose with the dress-up box, it's been a classic year. 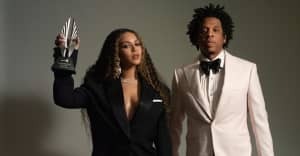 Having already dressed as Salt-N-Pepa alongside Blue Ivy, Beyoncé made a second entry for best costume alongside Jay Z with this Black Barbie and Ken look. Blue Ivy posed with them for the pictures, which were shared via Beyoncé's Instagram. Check out the images below.